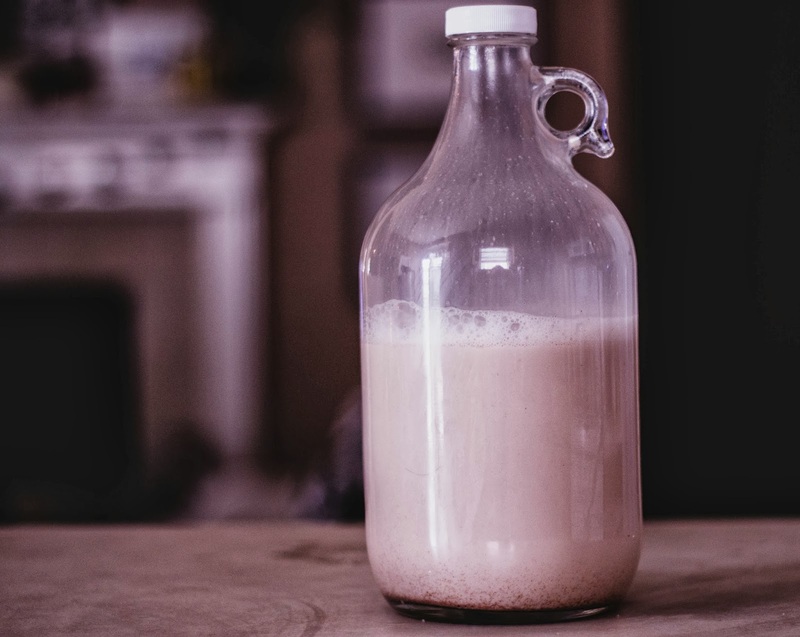 I've never been much of a milk drinker. In fact, I hate milk. Then I discovered almond, and it was love at first taste. We hadn't stopped buying it since. Then one day, I learned there was a whole lot going on in that carton. 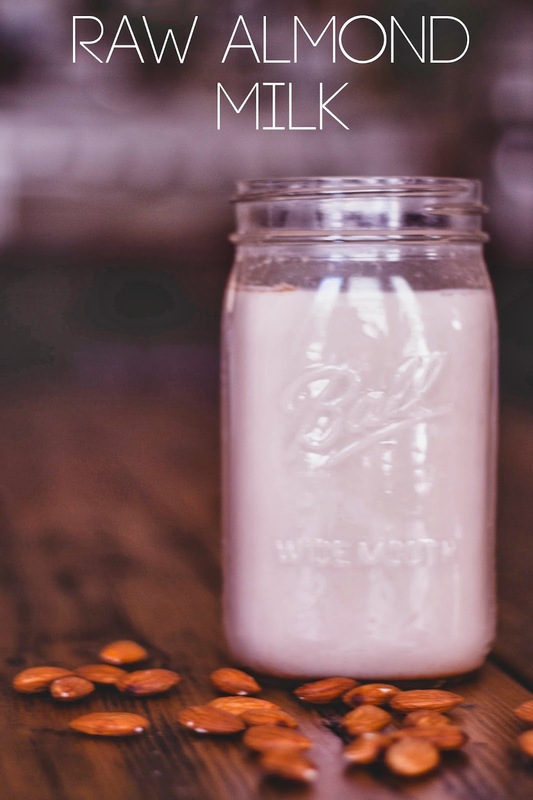 Store bought almond milk is loaded with thickeners, gelatin, and other natural flavors. Um, what? That's when Ryan suggested we make our own. At first I thought he fell off his rocker, but once I realized it was actually easy to make, I agreed to give it a shot. I was shocked by how good it was! I promise you will not be disappointed. 1. 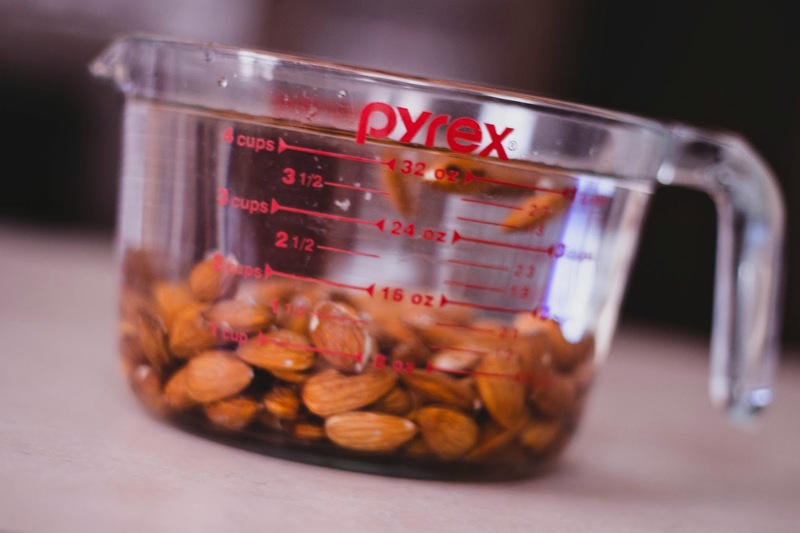 Add your almonds and water to a microwave safe bowl. Microwave for about 3 minutes. The water should be almost boiling. Let stand for about 30 minutes. 2. 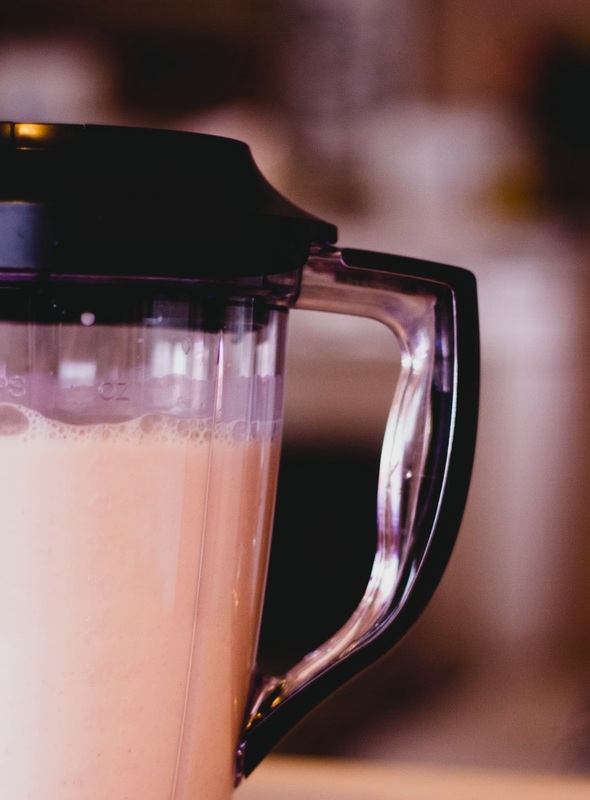 Pour the water and almonds into a blender. Blend until smooth. 3. I didn't get a picture of this step, so bare with me. Pour contents of blender into the salad crisper bag. All the water will drain through, so do this over a medium size bowl. Squeeze the bag tight. 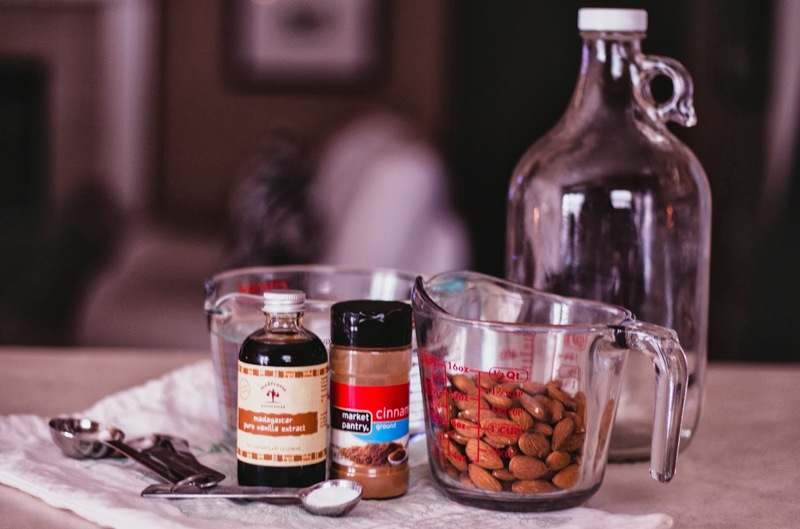 You want all the water out of the almond bark, since that's where all the yummy flavor is. 4. 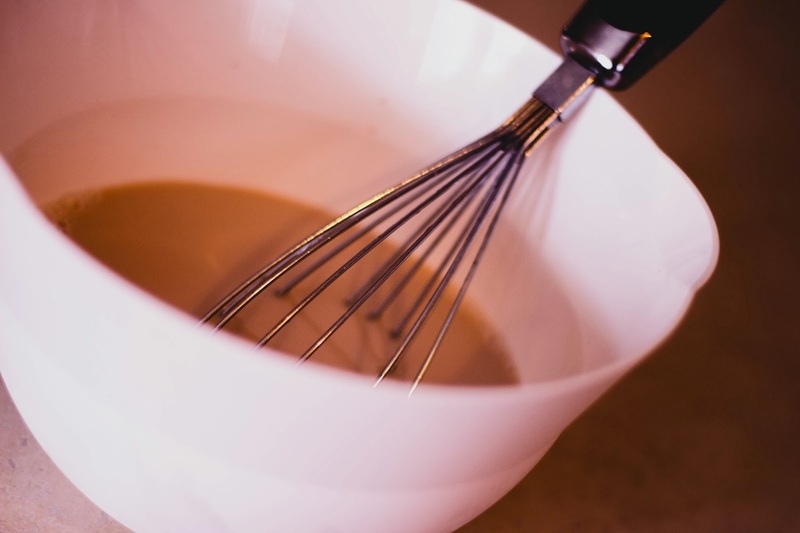 Whisk in cinnamon, sugar and vanilla. Add as little or as much as you want. 5. Pour into air tight jug and enjoy! Its crazy what they put in almond milk! You're going to LOVE making your own! 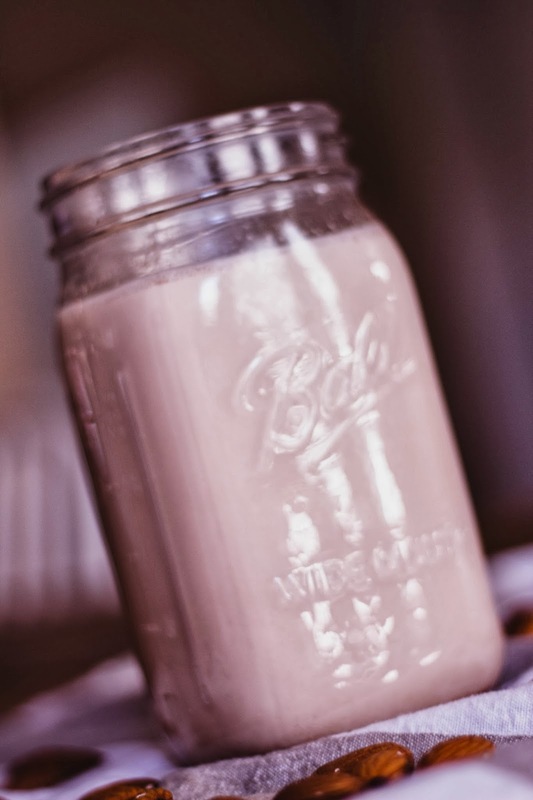 I have always thought about making my own almond milk in my blender, but never actually followed through. Thanks for the reminder that I need to give it a try at least once!